If you have always wanted to have gone to the Rio Festivals in Brazil, where you have to wear masks and dance on the streets; or you have always wanted to see the Cirque Du Soleil, where you get to sit in an expensive theatre and wear fancy clothes, there’s an equally excellent opportunity that Singapore is offering. It’s right at the heart of Clarke Quay and Boat Quay zones. Back again this year, there is a Circular Spectacular Street Carnival. They have transformed the Circular Roat at Boat Quay with lots of live music, arts areas, roving acts, and interactive fringe activities to suit all ages, without any need for expensive theatre tickets and clothes. November 4-5, the Singapore River Festival held its River Connections: highlighting how the River connects and bonds people of different backgrounds and cultures across three quays. It underscores the Underclouds Cie's tightrope production across the river, among many others. They also have a the first and only Silent Disco, where you have to wear earphones before you get your groove on at Clarke Quay’s Fountain Square. Likewise, they have a Riverfront Carnival and a Cinema at the Quayside, Robertson Quay. 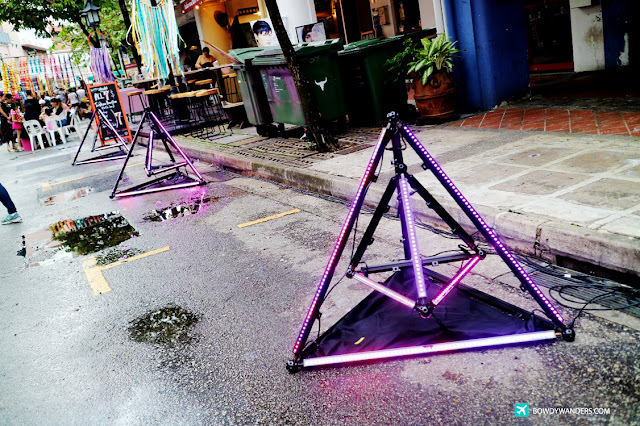 On the Circular Spectacular Street Carnival, you’ll see Arts display such as Light Installation by FLEX, Performance Art by Justin Shoulder, and My Grandfather Road by SKL0. On the other hand, Music performances such as Wobology, Masia One & The Reggae Remedy, Flame Of The Forest, and Bantus Capoeira Singapore. Worth mentioning also are activities good for families like the The Barter Market, Marionette Performance and Puppet Making Workshop, and Sideshow Takeover. Circus weekend, yes?